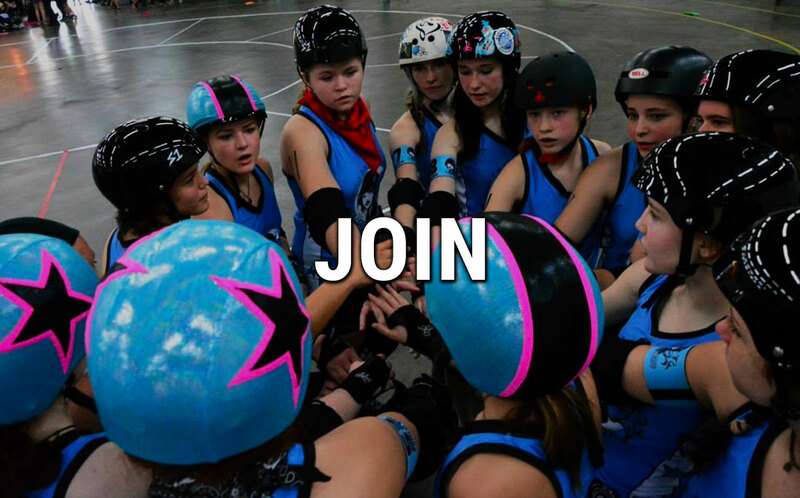 Nashville Junior Roller Derby nurtures self-confidence in young athletes by developing teamwork and athletic ability while encouraging individuality within a culture of discipline and stewardship through the competitive sport of roller derby. Anyone from the age of 8 to 17 is eligible to join the Nashvillains. Referee certification is also open to anyone from the age of 8 to 17. No prior skating experience necessary! All skaters will master the basics of roller derby in a safe and supportive environment, will understand the rules and will be tested regularly based on guidelines set forth by the Junior Roller Derby Association. Practices are held at the Tennessee State Fairgrounds Sports Arena on Tuesday and Thursday year-round except September. Beginning skaters practice from 5:30 to 6:30 pm. Advanced skaters practice from 6:30 to 8:00 pm, except during the summer when practice is extended until 8:30 pm. Skaters are responsible for providing their own equipment, which includes skates, elbow and knee pads, wrist guards, a mouth guard and a helmet. A $35 insurance fee is due upon enrollment and each October. Nashvillain dues are $50 monthly. Referee dues are $25 monthly and are applicable only during certification training. Advanced skaters will also need uniforms and travel expenses.